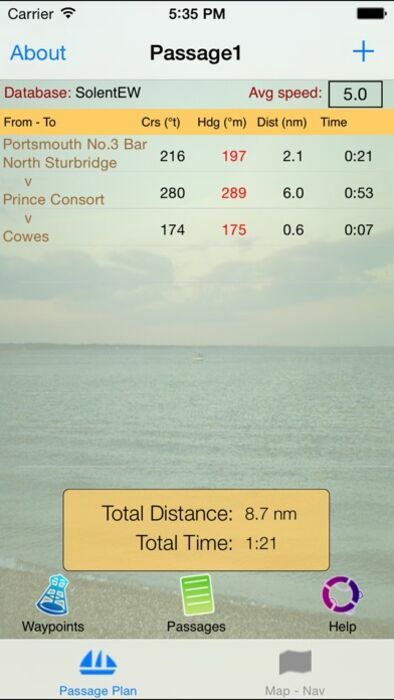 Sectors are added to a passage plan by selecting waypoints from a database, whereupon the true course and distance is calculated. The magnetic variation is automatically determined and so the magnetic heading is derived. over the ground and time for the sector. 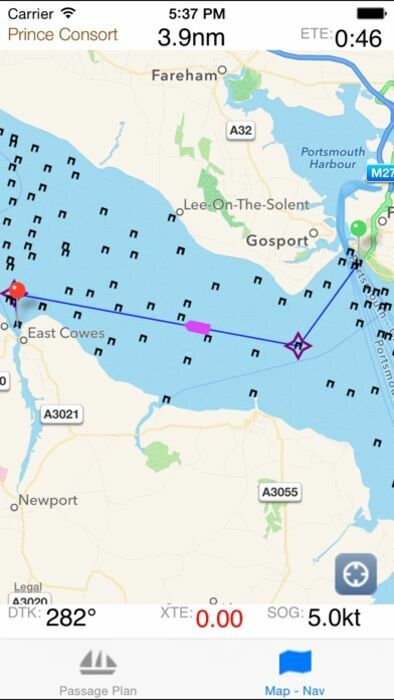 There is a 'NAV' view that shows a vectored display (track up) of the passage plan and local waypoints. 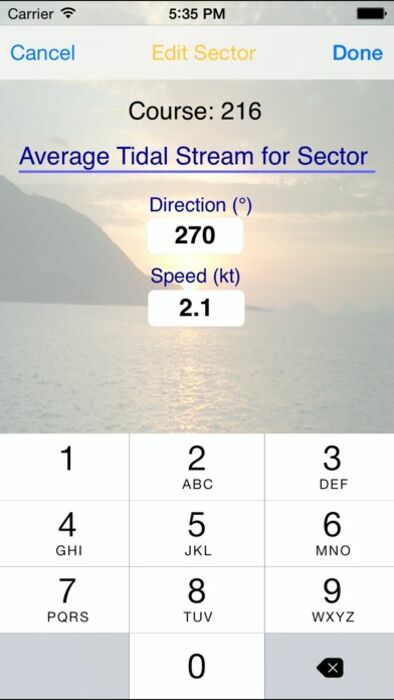 There is a Simulator mode to run the entire Passage Plan with simulated boat position and data. 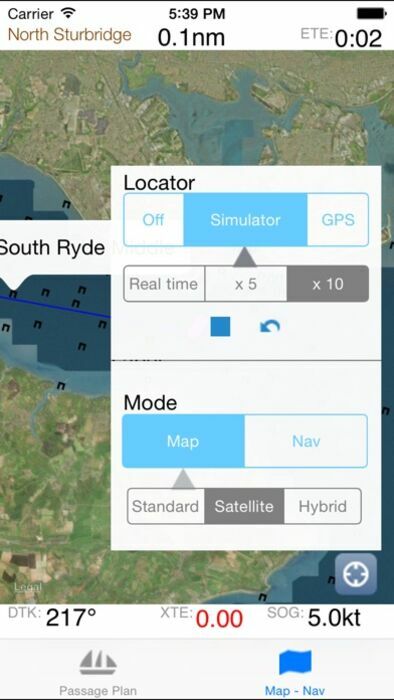 There is a GPS mode to update Map and Nav views with actual boat position and data. (device must have GPS capability). iPlotter works anywhere in the world. (Note: local waypoints must be added to the database, manually or by holding down a finger on the map, or by importing a .csv file).